The transport and distribution of organelles is critical for diverse cellular functions, including cell differentiation, intracellular signaling, cell survival, and apoptosis. 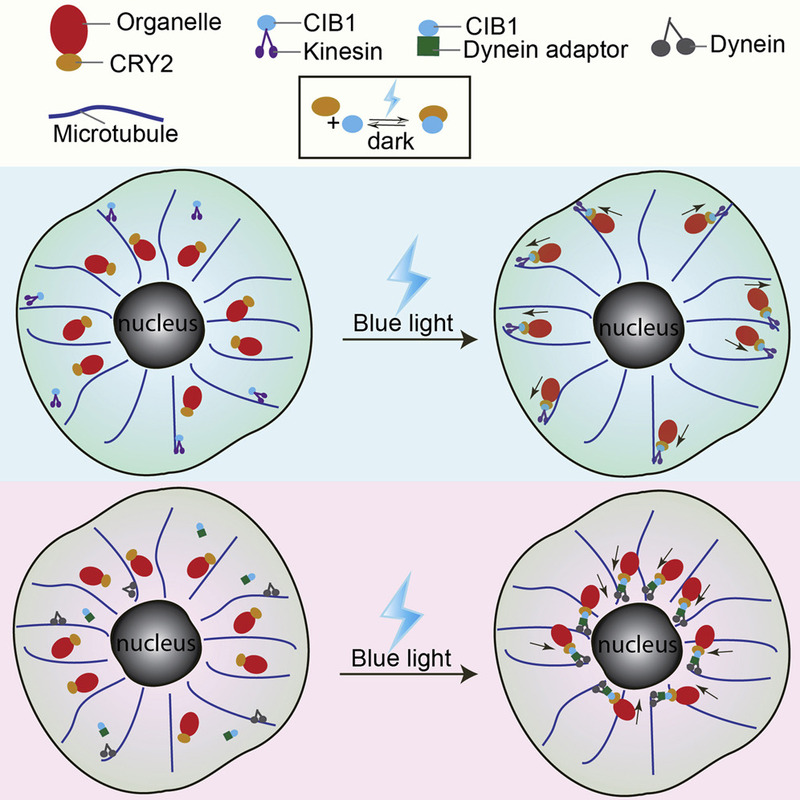 We have developed an optogenetic strategy to control the distribution of intracellular organelles by light. This is achieved by optically recruiting molecular motors onto organelles through the dimerization of CRY2 and its interacting partner CIB1. Organelles, including mitochondria, peroxisomes and lysosomes, can be driven to the cell nucleus or to the cell periphery by light. Light-induced motor recruitment and organelle movements are repeatable, reversible, and subcellular spatial resolution can be achieved.